Washington (Agenzia Fides) – Need to meet members of Congress to try to raise awareness of what could happen if Salvadorans (about 200 thousand) lost their temporary protection status and meet immigrant Salvadoran faithful in the United States. 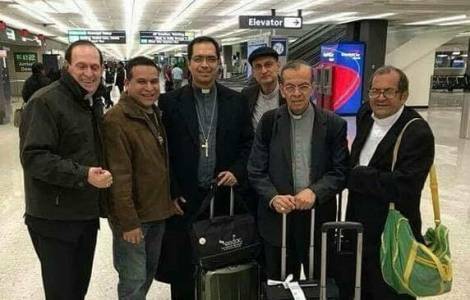 This is the intention of the journey of four Bishops who from El Salvador arrived in Washington on April 10th, where they will be staying to meet the US Bishops. Last January Trump’s administration announced that it would revoke the granting of the temporary protection status for El Salvador (see Fides 09/01/2018), recognition that allows people to reside and work in the United States when the country of origin is threatened by natural disasters, violence or other extraordinary circumstances. A decision that was repeatedly condemned by the Bishops of the United States and El Salvador.